Moving POVs for service members for more than 20 years. For more than 25 years we’ve delivered autos for residents and newcomers in Columbus to every corner of the U.S. Whether you need a car moved from the east coast to the west coast, or from Columbus to Alaska or Hawaii, we have to professional staff and quality service to get the job done. Transporting cars for military service members comes with its own set of regulations that have to be followed over and above the standard laws that govern the industry for civilians. This can make it confusing to have a privately owned vehicle (POV) shipped, especially if you’ve never done it before. We have an extensive background in moving cars for military personnel and consider delivery POVs to be one of our specialties, even if your PCS order takes you overseas. 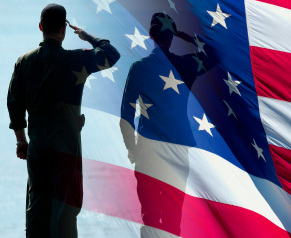 We proudly offer a discount to all service men and women to show our support for all that they do. For more information on shipping your POV, contact us today to learn how we can help you save money or fill out the free online quote form to see just how low our prices are! We move cars for collectors and car shows too! transport. Many car shipping companies will offer coast to coast service, only to make you drive several hours to drop off and pick up your car. We have storage facilities in every major metropolitan area in America, which reflects the scope of our business and our commitment to the convenience of our customers. Since our trucks operate year round, we typically have carriers available going to or from every part of the country. This allows us to provide faster delivery, cheaper prices and more hands on customer service, which is important when you’re entrusting someone with the care of your car. With more options and flexibility available for coast-to-coast auto delivery than most other companies, we’re also able to offer express cross country shipping, often at the same price as our standard delivery rates. Call us today to learn more about our selection of coast to coast vehicle hauling options! Use to free quote form at the top of the page to get a free estimate on the cost of east and west coast car transport! Distance Calculator – Google Maps distance calculator. Columbus Car Dealers – Local car dealership listings from Edmunds.com. DoD Car Moving FAQ – Military POV shipping frequently asked questions from the Department of Defense website. 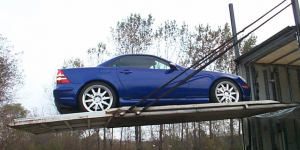 One of the advantages of hiring an auto transport pro is that it can save you considerable time and money, especially if you need a car moved across the country, or from one coast to the other. For businesses that have to move a fleet of cars or a large inventory of vehicles, hiring a professional auto mover is a no-brainer. For individuals, it’s often tempting to think you can save money by doing the job yourself. Letting a professional handle the relocation of your car can make a lot of sense, especially if you need your car moved a long distance. Having your car transported instead of driving it will save you on both mileage and maintenance. Putting 1,000 or more miles on your car over a short period of time can put undue stress on everything from the tires to the engine, not to mention a couple full days of driving. Call us today and let the professionals handle every step of moving your car from beginning to end! We offer free consultations over the phone and instant price quotes using our online form! 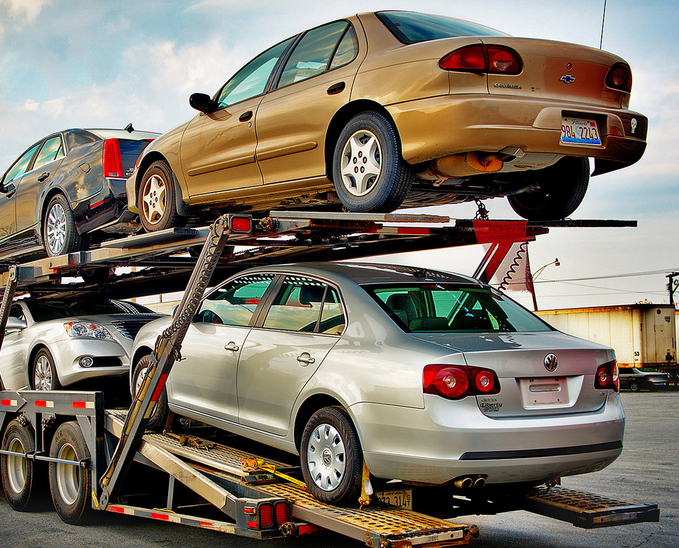 Get a free quote and find out how we can save you hundreds on car transport to or from Augusta! “How much will it cost?” This is the big question that everyone wants to know the answer to. Several factors play into the final cost of moving a car, most of which have to do with the timeframe and distance being moved. Driving more than 1,000 miles (roughly speaking, Georgia to New York), will require two full days of driving and two full tanks of gas, at minimum. If you consider the time away from work and the money going in your gas tank, the numbers add up quickly. Add in a hotel room for a night or two and you’re looking at a pretty expensive venture. Another consideration is the type of auto transport you will need. Are you having your car shipped through a cold weather climate? Is it a valuable, rare or high-end vehicle that requires an extra level of protection? Do you want your auto delivered right to your door? The section below covers the different options available to address these issues. For a free auto delivery estimate, fill out the free quote form at the top of the page or call us to speak with a car shipping consultant and learn about how we can help you today! Online Appraisal Guide – New and used car appraisal from the National Automobile Dealers Association (NADA). 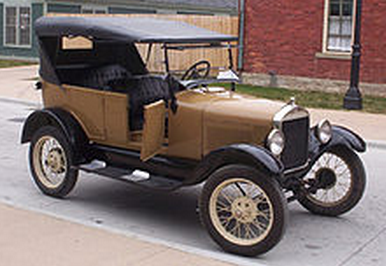 Carfax – Vehicle history reports from Carfax give you a full, accurate picture of a vehicle’s history. Augusta Autos – Buy and sell used cars in Augusta, Georgia. There is a lot of competition in the auto transport business and it’s important to be equipped with an understanding some things about the industry before searching for the right car moving company. Here are a few things you can do to make sure you get the service that’s right for you at the best price possible. Savannah’s expert car moving professionals! Planning ahead when it comes to having a car delivered is not always a possibility. Sometimes a circumstances arises in which you need to have an auto moved on short notice. The good news is that this is not a problem! The bad news is that some companies may try to gouge you on the price for express service. This is an obvious one, but it bears repeating because there’s a right way and wrong way to go about it. Make sure you get quotes from several different auto transport companies so you can compare the prices, services and timeframe for delivery between different companies. It’s recommended that you get between three and five different estimates, which should give you a good idea of the range of services and pricing. Fill out our free online quote form to get an instant price estimate on transporting your auto! 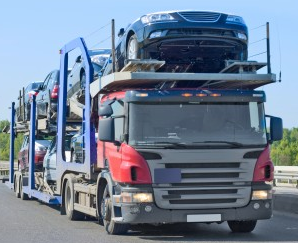 You can also call us to speak with one of our car shipping consultants! One of the reasons it’s important to get multiple quotes when selecting a car shipping company is so that you have an accurate idea of the general cost. Some unethical companies have been known to offer a lowball quote to win your business, only to use hidden fees and additional costs to make up the difference. Make sure that you get a copy of the contract, known as the bill of lading, which is required by the U.S. Department of Transportation and should include the terms and conditions of the service. North, south, east or west, Cross Country Car Shipping will get you there! There’s a lot of confusion around the process of having a car professionally moved and it can be really beneficial to understand how the process develops. After finding the right car moving company, narrowing down the quote that meets your requirements and getting your contract in writing, there’s still some work to do before you’re ready to have your car moved. Depending on whether you’ve opted for door-to-door or terminal delivery, you may have to drop off your car at a nearby depot before it can be loaded and secured for delivery. Door-to-door shipping obviously doesn’t carry this requirement. There are some minor steps involved in preparing your vehicle to shipped by a professional mover. Any add-on, custom or detachable components of the auto must be removed prior to transport. This includes things like spoilers, antennas and luggage racks–basically anything that is not permanently attached. Please call to speak to one of our associates if you any questions or fill out the free, no-obligation quote calculator to get an estimate on the cost of moving your car today! 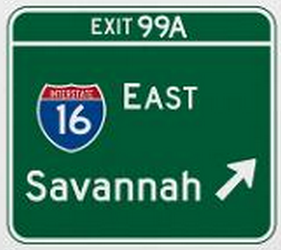 Savannah MVD Offices – Locations for the Motor Vehicle Division offices in Savannah. Dixie Land Cruisers – A club started by classic car enthusiasts to promote local auto interests. Motor Trend – News and information about cars, auto shows and guides for new and used vehicle buyers. If you already know the dates and locations for your vehicle shipping request, you can fill out the quick and easy online form and have an instant quote delivered directly to your email inbox. With the make and model of your car, plus the location, destination and target delivery date, we are able to provide some of the most accurate estimates in the auto moving industry. When starting out your search for a reputable auto shipping company, it’s important to collect and compare quotes. This will allow you to choose the exact services you need and get a feel for the pricing range you can expect when moving a car. It’s often tempting to take the lowest offer, but be cautious of “lowball” quotes, which are designed to lure in unsuspecting customers with a great price, only to increase the price before delivery. Cross Country Car Shipping offers the most affordable, accurate auto delivery quotes in the industry and we do it without any of the hidden costs or underhanded tactics that has unfortunately become common in the auto transport business. Try us today and you won’t be disappointed! For a free estimate on the cost of long distance auto moving, fill out the quote form to the right or call to speak to one of our qualified moving specialists today! 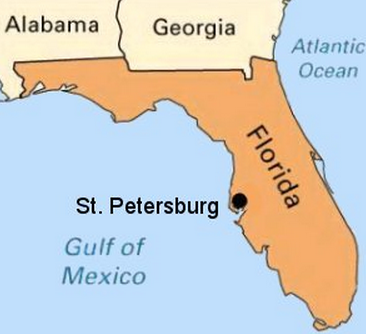 We move cars to and from St. Petersburg from anywhere in America! Satellite tracking comes standard with every car we relocate and we also provide real-time updates so you can track your vehicle from the beginning of the process to the end. We developed our GPS tracking software in response to our customers, many of whom have voiced concerns over the lack of communication they’ve experience with other car moving companies. For high-end and luxury cars we have enclosed container, air-cushioned transport trailers available, which not only offer great protection from standard road hazards, but also ensure that your car arrives in the same condition it left. Transporting plug-in electric vehicles (PEVs) has become a more popular service of ours with the growing mainstream use of alternative fuel cars. Electric vehicles have a limited range at this point, which can make cross country and long distance trips a challenge. Though they are more plentiful on the east and west coast, there are limited charging stations as you travel across the country, which is what makes hiring an auto mover such an appealing prospect for long distance trips and vacations for owners of alternative fuel vehicles. We also relocate hybrids and biodiesel cars! Call us to learn more about the variety of auto delivery services we offer in St. Petersburg or fill out the free quote form if you’re ready to start saving today! Florida Used Cars – Motortrend’s listing of used cars for sale in Florida. Search by county or zip code. Florida DMV Office Locations – Find local DMV offices in Florida. Florida Department of Highway Safety and Motor Vehicles – Stay up to date on everything from road conditions to crash reports. How Long Will It Take To Move My Car? We make shipping cars so easy, it’ll seem like child’s play. After “How much will it cost?”, this is probably one of the auto transport questions we answer the most. Here’s the answer: a typical auto carrier can log about 300 miles per day. Some companies may be quicker, others may be slower, but 300 miles is a good rule of thumb when it comes to estimating how long it will take to ship a vehicle. 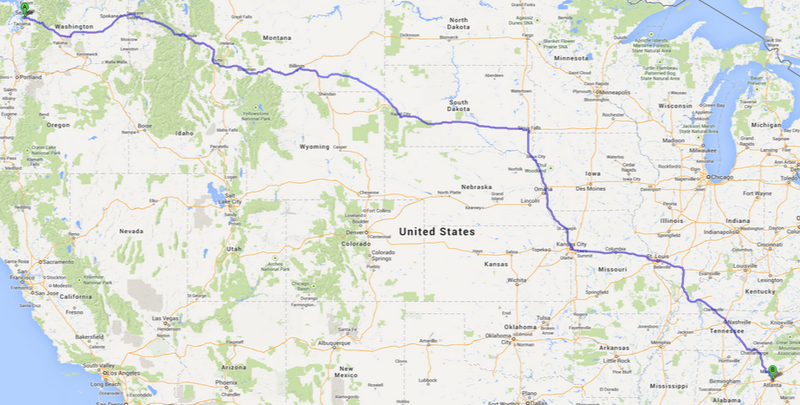 Doing the math reveals some obvious truths about moving a car across the country. Namely, it takes time. For instance, going from one coast to the other can take up to 10 days or longer, and this is after your car has been picked up. The time required to move a car is part of the reason that it’s so important to plan ahead if you can. Ideally, you want to start your search for an auto transport company at least four weeks before your desired pick up date, maybe even a two full months. 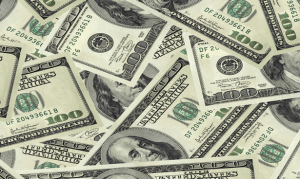 The more time and flexibility you can provide to the auto shipper, the more money you are likely to save in the end. On the opposite side of the coin, requesting vehicle moving at the last minute can often mean paying additional charges for expedited service. To start saving money today on car transport, fill out our free quote calculator and find out how much we can save you on long distance car moving! Whether you’re having a car moved half way across the country or from the east coast to the west coast, the first thing you should do is figure what type of car shipping you need. Enclosed carriers offer the most protection during transport. Standard vehicle relocation assumes open air terminal transport, which means you drop of your car at one of our depots and pick it up at a terminal near your destination. There are also vehicle transport options which provide more convenience and vehicle protection during transit. Door to door car delivery is a popular service among many of our customers, particular for high value or luxury cars. Enclosed transport offers full protection from weather and road debris for your vehicle. Once you know what type of service is appropriate for the car you’re moving and a target date for shipping, it’s time to get quotes from auto transport companies. Most companies will offer free quotes using a form similar to the one you see at the top of the sidebar. It’s recommended that you get between three to five quotes to get a good idea of the range of prices and services available to you. Note: these are general industry guidelines and the preparation may differ slightly from company to company. Have questions? Call us to speak to a consultant or fill out the free quote calculator to determine how much it will cost to move your car! Florida Car Shows – Listing of car shows and automotive events in Florida. Antique Auto Club of America – Great resource for local car collectors. Register A Vehicle in Florida – Resources and necessary forms from the Florida Department of Motor Vehicles. Tampa’s elite auto movers will save you time and money! relocations, corporate moves and more. But without fail, some of most frequent customers are car enthusiasts. Whether buying a car at a dealership, from ebay motors, or at an auction, Cross Country Car Shipping has been there with an affordable, common sense approach to moving cars from point A to point B. For new and used car buyers, being able to move a car from one side of the country to other without breaking the bank can make all the difference in the world when looking for that perfect car. Getting the car you want where you want shouldn’t be difficult or expensive, which is why we try to make it easy. For a free quote, fill out the short form to the right or call us with any questions, or to receive a free auto transport consultation from one of our logistics specialists! We proudly offer discounted car shipping rates for the men and women of the U.S. Armed Forces, both within the United States and internationally. We provide efficient, reliable auto relocation services for privately owned vehicles (POVs) of all types and sizes, and to anywhere from coast to coast. Whether your PCS order sends you several states away, across the country or overseas, we have the expert staff and quality service to make it happen at a reasonable cost to you. The Defense Finance and Accounting Service (DFAS) has more information about POV shipment. There are three main ways in which vehicles are delivered in the car shipping industry. They each offer something slightly different and the pricing can vary depending on which option you choose. Here, we’ll take a look at the three options so you can make the most informed choice when deciding to hire a professional to move your car. 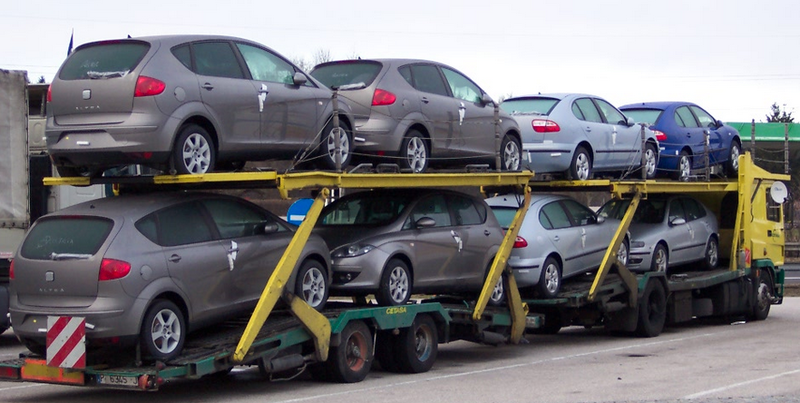 Open-air auto shipping is the most common way that cars are transported. 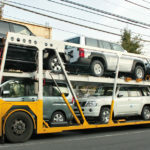 Open-air transport can be on a flatbed, hot shot trailer or a standard auto carrier, and is usually the cheapest way to move a car, particularly when combined with several others on a larger carrier. Enclosed carrier shipping is ideal for rare or high value autos. With covered shipping your car is protected from stray rocks and road debris by a soft-sided cover on the auto carrier. These covers are typically made of sturdy canvas or plastic and are designed to offer a greater level of protection than open transport, but at a cheaper price than enclosed delivery. Enclosed transport is the ultimate in protection and security in the car transport business. With this method, cars are fully protected by a sealed, metal container that guards against road hazards, weather and prying eyes. Enclosed shipping is a premium service that is ideal for high value or performance cars, for example: Ferrari, Lamborghini, Aston Martin and Porsche. For a free estimate, fill out the submission form at the top of the page or call us to learn more about how we can help you move your car from location to destination! Miami is a car lover’s paradise. years. As full service vehicle shippers, we’ve moved cars for snowbirds, military, businesses and more! Since we opened our doors, we have consistently offered the most competitive car moving quotes in the industry. Not only do we deliver on our promise to save you money, but we do it without sacrificing the quality of our award-winning customer service. Our drivers are thoroughly screened, field tested and reviewed by our most experienced auto transport professionals. Call us today to speak to the best car moving professionals in the business! We are happy to answer your questions and we offer free quotes using the online submission form! It’s no secret that Miami is a hot spot for snow birds and seasonal vacations, which is part of the reason our business has continued to flourish and grow in the area. Seasonal auto shipping is a big part of what we do in South Florida and it’s been an integral part of our business model as we’ve grown our service from a local company into a full service coast-to-coast auto delivery service. 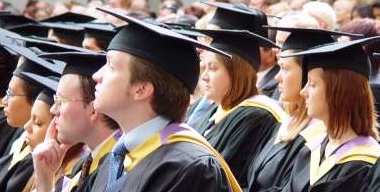 With several colleges in the area, we also relocate numerous cars for new and returning college students each year in Miami-Dade County. One of the advantages of hiring a professional to move your car is that it saves considerable wear and tear from what is often a long drive for students. Our affordable student options make it an easy choice when faced with driving a car half way across the country or going the hassle-free way with Cross Country Car Shipping. What Is Included In My Auto Shipping Quote? We also offer a wide selection of premium and speciality delivery services to meet almost any request. 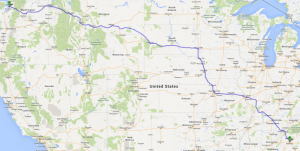 Our auto carriers have routes that run through every state in the continental U.S. and we also ship to Alaska and Hawaii. Fill out our free quote form to see how much we can save you today! We also offer free auto shipping consultations at the phone number at the top of the page! Antique Automobile Club of America – Events and news from the South Florida Region of the AACA. The Dezer Collection – The Michael Dezer Collection consists of some amazing, unique autos, as well as the largest collection of James Bond vehicles in the United States. 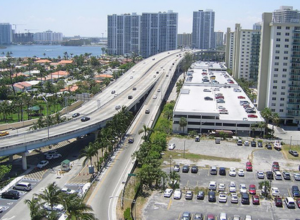 Car Titles & Registration – Title and registration forms and information from MiamiDade.gov. range of services that cater to consumers and businesses alike. Our commitment to delivering quality auto moving services at a reasonable price has been crucial in building our business to the point that it currently stands at today. One of Duval County’s top rated vehicle hauling companies, we have been Jacksonville’s go-to provider of professional auto shipping solutions and logistics. We have pick up and drop off terminals in all major cities across the U.S. and we also offer door-to-door relocation services throughout the state of Florida. If there’s a way to save you money on your car moving costs, we will find it! Our staff of professional licensed movers are carefully recruited and screened to ensure that we only hire the best employees that the industry has to offer. Our goal is to bring you the best service in the business at a price that makes sense. For a free quote, fill out the short form the right and click ‘Get Quotes!’ For a free consultation call us at the number at the top of the page! We’re happy to help! Whether you’re in the Army, Navy, Marines, Air Force or Coast guard, we can help you move your car at a discounted price. If you’ve gotten a PCS order that sends you from one coast to the other–or even overseas–we will provide a comprehensive auto delivery plan that will get you there on time and at a great price. Whether you’re a snow bird or just want your car with you while you’re on vacation, we have several affordable options to get you from point A to point B. For trips longer than a couple days, it’s usually cheaper to have your car hauled where you’re going than it is to rent a car while you’re there. Classic, antique and high-performance car collectors are bigs fans of our service. 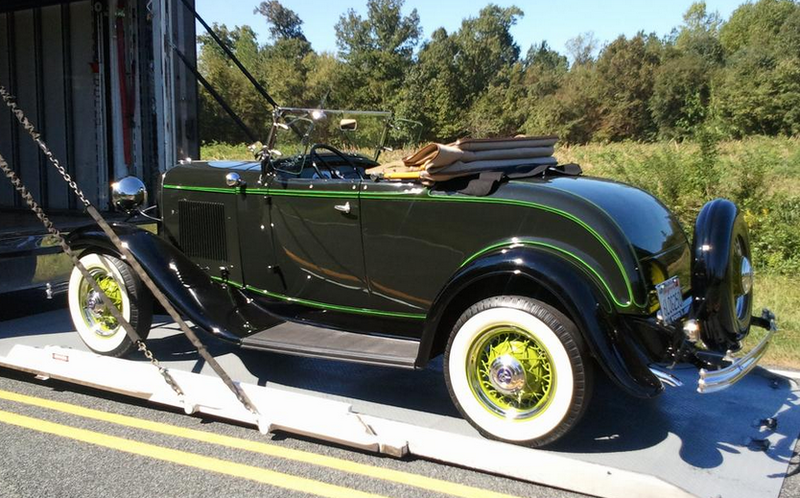 Whether going to a car show or simply transporting a newly purchased vehicle, Cross Country Car Shipping will get your car(s) where they need to be when they need to be there. For high value cars, we offer air cushioned suspension technology and enclosed transport options to keep autos save from weather and road hazards. Dealers and auto rental businesses typically need larger groups of cars delivered to their locations, often an entire fleet of cars or inventory of a particular type of car. All of our auto carriers are equipped with GPS tracking capability for real-time updates and we offer discounts for large orders. These are just some of the many services we offer in Jacksonville and Duval County. Call us for more information or fill out the FREE QUOTE form to start saving on auto delivery today! 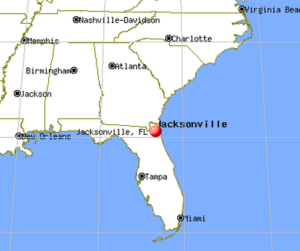 Jacksonville DMV – The local Department of Motor Vehicles has answers to all your questions about licensing, registration and car titles in Jacksonville. Duval County Services – Driver’s license and motor vehicle service center locations and phone numbers in Duval County. State of Florida – The State of Florida information portal.